People may assume that all of the above is true. However, whilst it may be true that going to court is a serious step that should not be taken lightly, real efforts have been made to ensure that ordinary people have access to justice. 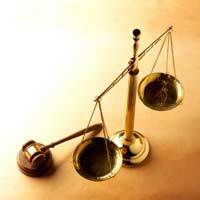 In 1973 a new simplified procedure known as “small claims arbitration” was introduced to the county courts. Originally limited to claims of up to £100 in value, the new system was popular and over the years the value of claims covered by the system was increased. In 1998 the Civil Procedure Rules (CPR) came into force. The CPR introduced new rules of procedure in the civil courts but also consolidated many pre-existing rules that had previously been contained in different sets of legislation. The CPR simplified the rules governing civil law hearings by incorporating most of them into one piece of legislation. Dealing with cases expeditiously and fairly. The CPR states that every other rule it contains should be exercised in a way which gives effect to this overriding objective. Parties may be represented by a lay person who is not legally qualified. What Sort of Disputes Can be Dealt with at a Small Claims Trial? Failure to supply goods which have been paid for or faulty goods. Where Can I Find a Small Claims Court? Although people often refer to the “small claims court” there is, in fact, no separate small claims court. Small claims cases are dealt with in the same county courts as all other hearings, with most small claims being dealt with by a district judge. A person starting a small claims case does so in just the same way as any case is started – either online or at their local county court. It is only later in the process, if a case is defended, that it will be allocated to the small claims track if it satisfies the criteria. If a small claims dispute is about bad workmanship - a garden wall - can the small claims hearing take place at the premises so that the judge can see the wall for himself? No, photographs would be used for evidence in court in order to highlight the issues in question. swaffhamtradecars2014]on Ebay.Advertising used vehicles for sale by way of classified adverts.DO NOT buy ANY vehicle from the above rogue dealers.They sold us a vehicle and delivered it later than agreed and the vehicle turned out to be unfit for purpose from day of delivery.Agreed to repair vehicle and return,that was over 12 months ago now.Now,refuses to refund and also refused to return the vehicle as well.These people cannot be trusted and the adverts they use on Ebay are worded so as to "hook" a victim just like us.Ebay are not interested in our problem and still allow them to advertise.They start a new business after 12 months or so then,end that business,and set up again under a different name.These hooks are very experienced con artists and have previous convictions going back to 2002 for the same issues we have with them.They have recently set up a "new"business and,have used an employee as the new owner on the companies houses website which gives details of all new businesses details.The problem is,they know how to "work the system"and then get out of it before it catches up with them. I got bitten by a dog for the fourth time last week whilst at work it not only caused bruising and swelling but now I am petrified of dogs and panic when one comes near me I physically can't do my job and worry about encountering a dog each time please help. WHERE CAN I FIND THE ONLINE APPLICATION FORM FOR SMALL CLAIMS.